I share a lot of book covers on this blog, but I also find myself noticing a lot of other bookish things like blurbs and titles, and sometimes I like to share those too. I mean, covers are not the only thing that influences my decision to buy or read a book. Titles are the first thing I see right along with the cover, and they probably have just as much influence since they often are what gives you an idea of what the book might actually be about. I mean, consider this: I either have read or want to read every book on this list which means good titles clearly work! Well, from my limited experience with corpses (read: none), I would imagine that, if they did speak, this would probably be accurate. A day care for zombie children?! Need I say more??? If I were choosing favorites for this list, I’d probably choose this one. Many of you already know my obsession with the cover, but it was actually the title that made me read it in the first place. I just love the unique juxtaposition of the word fae, something so elegant, and trailer park, something so… not elegant. This is another fun, unique juxtaposition. I’m pretty sure that’s what everyone says precisely when alcohol was involved. Because who doesn’t love grumpy old people? I wonder if they hurl magic at kids while they shout at them to get off their lawn. Well that’s different. You don’t see a whole lot of hot dinosaur guys. Maybe I would read more superhero books if they all sounded this interesting. Check Out the Rest of My Awesomely Interesting Book Titles Posts! Which of the book titles on my list is YOUR favorite? Do you have a favorite title or know of any others that are unique or interesting? I own “Trailer Park Fae” but haven’t read it yet – story of my life. One of my local libraries has “Hot Pterodactyl Boyfriend” so I know I will be checking it out at some point. I’ve heard not-so-good things, but come on, with a title like that, how can you resist??? I absolutely have to read the Diana Rowland series soon! I love your special features and this one is great! Okay, How To Date Dead Guys is my favorite title of the bunch. Lol. It’s got a really funny and catchy title, but it’s a surprisingly emotional and meaningful book! You’re right, I didn’t even realize that was another juxtaposition! Apparently I’ve got a thing for those lol. But I agree, I don’t read about superheroes because they seem too perfect and martyr-ish for me, but this guy actually sounds more relatable and human. I do think titles are part of the complete package when looking at a book, everything from the author name, title and cover is part of that first impression. I certainly think the title of a book and the font it is written in on the cover can sometimes play a part in my decision to read a book. Although I am not always a fan of the long titles as they are a pain to tweet about, lol. I do think the longer titles can tell a bit more about the book, although with the shorter titles I always like seeing how the relate to the story or when you actually hear the title in the book, it’s fun. From these the How to Date Dead Guys is probably my favorite, as it makes me curious about the book. And My Life as White Trash Zombie is also a nice one. And Grumpy Old Wizzards is one I like as well, makes me wonder what those grumpy old wizards are up to. Besides these I like Joanne Rock her Heartache series titles, they are on the long side, but fit the books. And when it comes to shorter titles SJ Pajonas her Nogiku series titles are great as they seem simple word titles, but they really fit the books. Hmm, I think the font is more part of the cover since it’s an aesthetic thing, but it’s definitely still important since font conveys a vibe too. And the title itself is important too since it helps convey the genre and what the book is about sometimes. Longer titles do have a better chance of accurately portraying what a book is about, but I agree that they’re more annoying, especially for Twitter and even blog post titles! I think 2-4 words is best. One word titles can be really powerful and intriguing, but they also run the risk of having a whole bunch of other books by the same title. And it is always fun when you find the spot in the book that references the title if it’s one of those mysterious kind of titles. Oh, the blurb is the most important for actually getting me to read a book, but it’s that cover and title that give me the first impression and make me decide to read the blurb in the first place :-) Someone should do an experiment with just cover images and then put the titles with the images and see if people are still interested in the books or something like that. Look at that, I’m getting off topic too, haha. Those pulp cover taglines really are the best though. I really wanna read Hot Pterodactyl Boyfriend just so I can say I’ve read about a pterodactyl character lol. I need Hot Pterodactyl Boyfriend in my life now!!! Haha, right? I really want to read it too. I put in a request for my elibrary lol. I actually want all of these now. Physical copies, for my shelf. I would show them to everyone who visits me (so actually not very many people. But still). Trailer Park Fae is an awesome title, and add to that the author’s name which is also very cool. From my not-so-very limited experience with corpses, they would definitely say the darndest things. Also I really wish they could do that. Except no, that would be scary. But also informative. I can’t decide if I want them to talk or not! “Alcohol was not involved” is probably my favourite though. Okay, and… the pterodactyl one too. Annika @ Hiding Books recently posted: the Sunday Post: in which the new blog is almost ready. almost! Right? I want to read them all too! But lol to your comment about not very many people. On Lilith Saintcrow’s site there’s an FAQ or whatever and one of the questions is about how yes, that is in fact her real name lol. It is awesome though. I don’t even know which is my favorite after Trailer Park Fae. Those two are great though! Maybe we should read some of these together lol. I love odd book titles. They always make me at least curious about the book, so I think they work!! My fave titles from this year are: I Woke Up Dead at the Mall, Kill the Boy Band, and Rocks Fall, Everyone Dies. I Woke Up Dead at the Mall? Ok, yes, I am definitely going to go look that one up lol because I hadn’t heard of that one! Rocks Fall, Everyone Dies did catch my attention because of the title though, and Kill the Boy Band isn’t my kind of book but is a really unique and funny title! I absolutely could not pick my favourite title out of this because they’re so good and awesome and kinda of crazy lol! Haha right? They’re the best kind of crazy! Those are some interesting titles. I will say the Pterodactyl one turned me off because of the title though. LOL! It is funny how a title can make that much of a difference on if you want (or DON’T WANT) to read a book. That’s so funny that the Pterodactyl one turned you off since that seems to be everyone’s favorite lol. I love seeing how people have different taste like that though! Titles really do have a big effect though. I saw lots of reviews for that one not too long ago. I don’t think I even read any. Lol! Maybe one or two, but I don’t recall. I love to see how people have different tastes too. It’s so fun! It actually didn’t seem to have the best reviews which was why I didn’t even bother trying to request a review copy, but if I could get it from the library or something, I’d read it. It is fun seeing different tastes that people have though! What great, fun titles you’ve found! Humbled and pleased to have ‘Corpses…’ among them. Thank you so much! Thanks! And no problem :-) I love your book’s title, definitely caught my attention! I reviewed Corpses Say The Dardnest Things on Amazon. 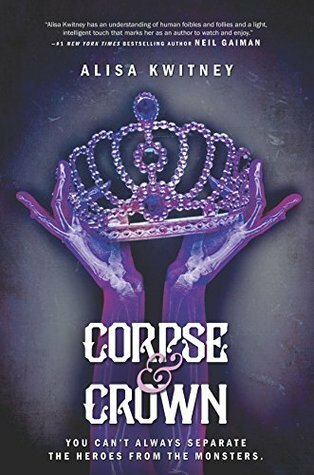 It is a witty take on the Hard Bioled Dective genre, with the corpses making themselves known to the detective. There is word that another Nod Blake novel is in the works and I can’t wait! Corpses Say The Darndest Things is well worth the read and check out Doug Lamoriux’s other works as well. The “Grumpy Old Wizards” book is the most strange to me. haha. 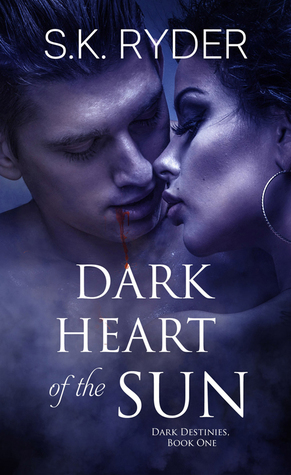 From the cover, it looks like a paranormal YA romance, but… “grumpy” and “old”? haha. So strange. Lol yeah it’s probably not YA, but it’s such an attention-getting title!